Have you made a New Years Resolution? Do you have a clearly defined plan on how to achieve it? If you have resolved to lose those extra pounds then give yourself a well-deserved pat on the back. Keep in mind, it’s important to be realistic about your goals and to implement changes that will be long lasting and beneficial to your health. 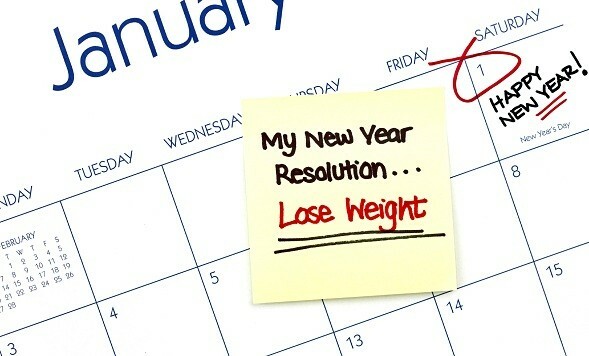 Don’t repeat last year’s resolutions failures by falling into the old New Years Resolution weight loss trap. Following the newest quick fix, fad diet sets off cascade of harmful metabolic effects leaving you more hungry then when you started with intense cravings and an extra 10 pounds of rebound weight gain that you weren’t expecting. 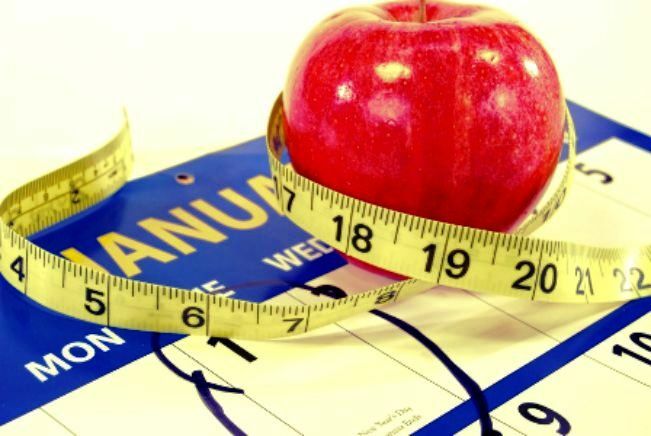 Instead of making 1 large, grandiose New Years Resolution that you will give up on before the end of January work on implementing smaller, more achievable nutrition and fat loss goals over the next 12 months. March: Enjoy an afternoon snack. It’s vital to your fat loss success that you keep blood sugar levels stable. Plan to have your snack between 2-5pm. If you eat a late dinner have 2 smaller snacks. Research shows that blood sugar levels dip during these hours of the day. Include a fruit with a good quality fat or lean protein about the size of your fist. July: Increase filtered water consumption to 8-10 cups per day. During the summer heat it’s important to stay properly hydrated. Thirst often masks as hunger and cravings signaling to your body to take in fluids. If you find you are unusually hungrier, then try adding in more non-caffeinated clear fluids during the day. August: Limit alcoholic beverages to 1-2 and only on weekends. It’s easy to go over board with all of the summer fun, especially at BBQ’s. Bring a healthy appetizer or side dish. Limit alcoholic beverages to 1-2 drinks per week. October: Reduce the portion distortion. During the holidays it’s important to stick to proper portion sizes. Swap out your big plates for smaller ones. Eat off the smaller plates for the entire holiday season. November: Make soups. As the weather changes so do our cravings for heartier and heavier foods. Allocate 1-2 hours per week for cooking and preparing 1 dish wonders and soups made with root vegetables and lean protein including lean grass fed beef. Soups make for a great side dish or main meal.